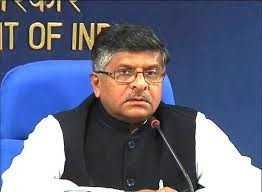 Dismissing reports of a downturn in employment in the country’s IT industry, Electronics and Information Technology Minister Ravi Shankar Prasad on Tuesday said that in the coming four to five years, almost 20 to 25 lakh additional jobs will be created in the sector. “I completely deny and refute that there is any downturn in the employment in the IT sector. It is robust. Once the digital economy is here, you will see how much it will progress,” the minister said in a press conference convened to highlight the ministry’s achievements in the past three years. “Indian IT companies are spread across 200 cities and 80 countries around the world, which provide direct employment to 40 lakh people and indirect employment to almost 1.3 crore people. As the industry is moving forward, it is Nasscom’s assessment that in the coming four to five years, almost 20-25 lakh additional jobs will be created,” he added. The government is also creating new jobs in the IT sector by setting up more Common Service Centres, launching new schemes under the Digital India programme and opening rural BPOs in semi-urban areas, he said. The minister said that in the next five to seven years, India’s digital economy will be worth an estimated $1 trillion, which is almost Rs 600 lakh crore. In 2016-17, the IT industry added 1.7 lakh new jobs. In the last three years, almost six lakh people have been employed in our IT sector,” he said, adding that the Nasscom said 25 to 30 lakh new jobs will be created by 2025 in the sector. Indian IT companies currently serve two-thirds of the Fortune 500 companies and have created 40 lakh direct jobs in India, the ministry said in a statement. India’s total software production market grew at 9.5% in 2016-17, to reach $ 7 billion, and exports grew 7.8% to reach $2.3 billion. India’s overall domestic IT/BPO sector is expected to grow at 8.5% from 35 billion in 2016, to an anticipated $37 billion in 2017.